CALL TODAY TO REQUEST HURRICANE WINDOWS IN YOUR HOME! CitiQuiet Windows and Doors offers just about any window you need. For soundproof impact windows and more, we’ve got the perfect selection for any use. Browse our options below. This unit consists of one master frame with full height horizontally sliding framed glass panels. The “Horizontal Rolling Window” easily operates in a horizontally sliding motion, rolling on a stainless steel wheel system. The “Horizontal Rolling Window” is available with different glazing options. Various glass thicknesses can achieve various design pressures. All variations are Miami-Dade approved. The “Horizontal Rolling Window” is available in standard color finishes of white and bronze, as well as custom color finishes. Low-E Glass, Turtle Glass, Reflective Glass, Tinted Glass, Insulated Glass, and other glazing options are available for energy efficiency and all are available in this style of window. The “Horizontal Rolling Window,” as well as other styles, can be mulled together with another window to fill an opening consisting of more than one window. The “Horizontal Rolling Window” comes complete with a screen. The “Single Hung” consists of one master frame with top and bottom sashes. The “Single Hung” operates in an up and down motion. A 1/2 screen is optional. It is available with different glazing options. Various glass thicknesses can achieve various design pressures. All variations are Miami-Dade approved. The “Single Hung” is available in standard finishes of white and bronze, as well as custom color finishes. Low-E Glass, Turtle Glass, Reflective Glass, Tinted Glass, Insulated Glass, and other glazing options are available for energy efficiency and all are available in this style of window. The “Single Hung,” as well as other styles, can be mulled together with another window to fill an opening consisting of more than one window. The “Single Hung Window” comes complete with a screen. The “Fixed/Picture Window” consists of one master frame with one full height sash. The “Fixed/Picture Window” is available with different glazing options. Various glass thicknesses can achieve various design pressures. All variations are Miami-Dade approved. The “Fixed/Picture Window” is available in standard color finishes of white and bronze, as well as custom color finishes Low-E Glass, Turtle Glass, Reflective Glass, Tinted Glass, Insulated Glass, and other glazing options are available for energy efficiency and all are available in this style of window. The “Fixed/Picture Window” is most commonly used in an opening where no operation or no functionality will exist. The “Fixed/Picture Window,” as well as other styles, can be mulled together with another window to fill an opening consisting of more than one window. The “Casement Window” consists of one master frame with one full height sash. 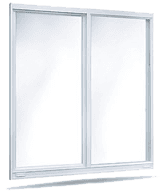 The “Casement Window” operates with an internal crank. The window can either open into the room or out to the exterior. The “Casement Window” is available with different glazing options. Various glass thicknesses can achieve various design pressures. All variations are Miami-Dade approved. The “Casement Window” is available in standard color finishes of white and bronze, as well as custom color finishes. Low-E Glass, Turtle Glass, Reflective Glass, Tinted Glass, Insulated Glass, and other glazing options are available for energy efficiency and all are available in this style of window. The “Casement Window,” as well as other styles, can be mulled together with another window to fill an opening consisting of more than one window. The “Casement Window” comes complete with a screen. WE OFFER STORM PROOF HURRICANE WINDOWS! Keeping your home safe with storm proof high impact windows is a priority for CitiQuiet Windows & Doors. We provide not only high-quality hurricane windows, but we work with quick, efficient, and professional service to get the job completed to your standards. Call for more information on any of our impact windows today! We have provided impact windows to homes throughout Southern Florida. To view some homes that feature our high impact windows, browse our residential gallery. Call to get an estimate! CALL TODAY FOR IMPACT DOORS & WINDOWS! In addition to high impact windows, it is important that the glass doors on your home are functional and equipped to keep you safe and sound. We offer both sliding doors and French doors to homes and businesses throughout South Florida. These doors create convenient access points for your building while maintaining the high-quality protection you have come to expect from CitiQuiet Windows and Doors. The “Sliding Door” consists of one master frame with two, three, four, etc… full height panels. A screen or numerous screens are available depending on the number of operable panels including in the stack. Sliding doors are available with different glazing options. Various glass thicknesses can achieve various design pressures. All variations are Miami-Dade approved. Sliding doors are available in standard color finishes of white and bronze, as well as custom color finishes. Low-E Glass, Turtle Glass, Reflective Glass, Tinted Glass, Insulated Glass, and other glazing options are available for energy efficiency and all are available in this style of window. 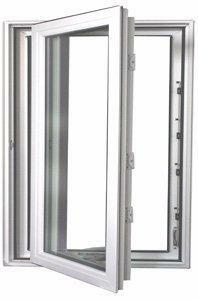 Sliding doors are most commonly used in a high rise building or a single family residence. All sliding doors come equipped with screens. The “French Door” consists of one master frame with one or two full view glass panels. French doors are available with different glazing options. Various glass thicknesses can achieve various design pressures. All variations are Miami-Dade approved. French doors are available in standard color finishes of white and bronze, as well as custom color finishes Low-E Glass, Turtle Glass, Reflective Glass, Tinted Glass, Insulated Glass, and other glazing options are available for energy efficiency and all are available in this style of window. The “French/Hinged Door” is most commonly used in a high rise building or a single family residence. The “French/Hinged Door” as well as other styles can be mulled together with another window/door to fill an opening consisting of more than one window. We have provided sliding doors and French doors to homes and businesses throughout South Florida. Check out the commercial gallery to view some of the businesses in the community that we have serviced.